Your choice of (3) bead colors. 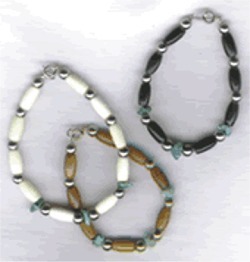 Single strand of beads, buffalo horn beads, and semiprecious stones. These Boot Bracelets are beautifully hand crafted with a Native American and biker spirit. 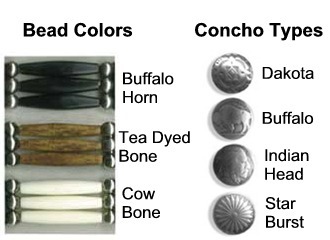 Cow bone, buffalo horn beads and semiprecious stones are used.